elete CitriLyte Add-In 32oz Team Size | Mineral Resources International Inc.
elete CitriLyte Add-In is a pure liquid, electrolyte concentrate containing four essential electrolytes; magnesium, potassium, sodium, chloride, plus zinc. 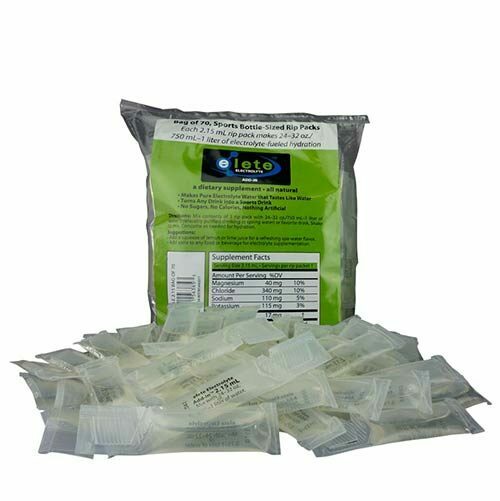 • May be used safely in water bottles, hydration packs, dispensing systems, etc. 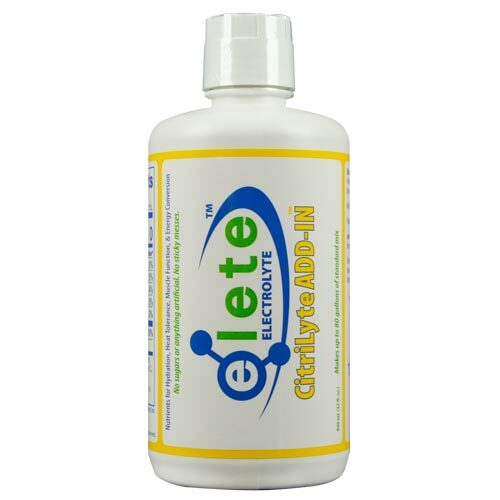 elete CitriLyte Add-In is a pure liquid, electrolyte concentrate containing four essential electrolytes; magnesium, potassium, sodium, chloride, plus zinc and is formulated to make functional electrolyte water without any calories, sugars, or artificial ingredients. Directions: Add elete CitriLyte Add-In to water and mix by shaking or stirring. Please refer to the mixing chart for precise dosing and mixing instructions. Consume as needed for thirst. May be mixed with more or less water to suit flavor and performance. Note: The elete refill bottles are not intended for travel once the bottle has been opened, as they might leak. We recommend that, instead, you fill and use the empty pocket flasks. If, however, you want to travel with an elete refill bottle that has been opened, here is a suggestion: Unscrew the refill bottle cap, place a plastic or Ziploc bag over the open lid, screw the cap back on the bottle, seal tightly. This can reduce the risk of a leaky bottle.